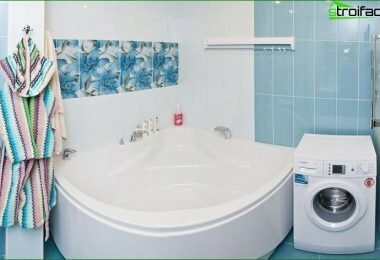 Decorating a bathroom is not an easyoccupation: because in addition to the fact that we want to serve long tapestry in a humid environment, it also must meet our requirements in terms of appearance. 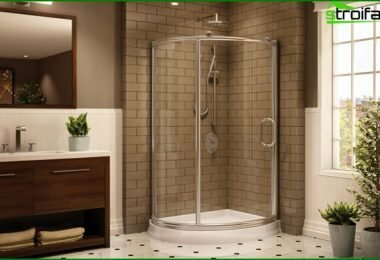 What requirements must meet material for bathroom walls? Let's look at the most popular types of coatings and determine their strengths and weaknesses. Most often trust in our areaceramic tile. And it is well deserved: it is characterized by resistance to water, for it is easy to provide adequate care to the same tile in the terrible temperature changes and it does not conduct electric current. Although it is more expensive, and some of the materials, but its durability and reliability completely compensate for the difference in price. Today, the market can meet the tiles of glass. With the help of the wall can be bulky, besides it can be done under the pattern that will make the room its originality. Incidentally remomenduem company for the veneering ceramic tile bath. They have a large assortment of ceramic tiles. A worthy replacement tiles isgranite. It is made by calcination of dry ceramic sand. Made of this material will be able to finish for a long time to please you. Many have noted the high quality of porcelain made in China. Quite rarely used in the bathroom wallpaper. Their main advantage - saving money. But this material is absolutely not suited for use in high humidity conditions. Over time, humidity exerts influence - wallpaper Wallpapers begin at the seams and the bottom. In addition to mold them may appear. The way out of this situation may be a glass-fiber wallpaper, but the preparation of walls and their application take a lot of time and effort. 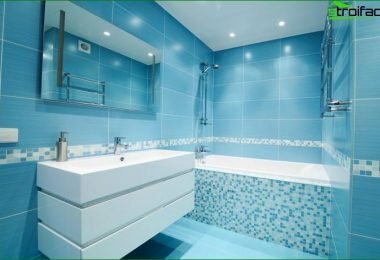 Decorating the walls in the bathroom can be made using plastic panels. They are easy to use, quick to install, characterized by the ability to replace and inexpensive cost. 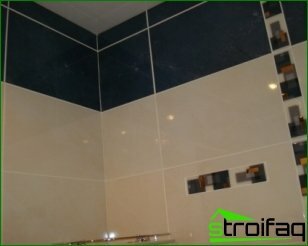 Moreover, this material for bathroom walls It has a wide selection of colors. But not everyone thinks the plastic trim most welcoming and comfortable, besides it is sensitive to temperature changes. Pretty original look bathroom walls,made of mirrors. With their help, you can finish the whole room, but can only be part of it. The mirrors give the room more light. But an important condition for the choice of this material is good ventilation - it is easy to mirror mist. Moreover, such a finish well with other types of materials. 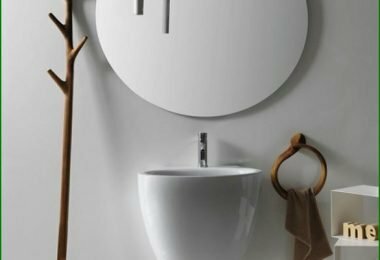 Another reliable modern material for bathroom walls It is an agglomerate. In appearance it is similar to a solid thin film. It is easy to cut, is plastic. In addition, the agglomerate can be applied on the wall, not particularly evenness. Moreover, prior to its application to the wall need not pretreated. However, the cost of such a finish is slightly higher than ceramic tile. As a finishing mater bath canuse mosaic. Its main advantages are durability, practicality, resistance to temperature changes and excellent appearance. However, applying this material to the wall is not the easiest, also require time-consuming. First, a piece must be divided into smaller parts, and then have to lay out the pattern. One square meter mosaic is usually laid during the working day. Mosaic is platinum, glass, gold, and other vidov.Ochen quality, but at the same time and is expensive natural marble. It can give the room a unique elegance and serve for a long period of time. 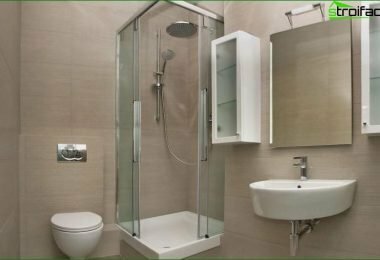 Other finishes of walls in the bathroom can be a water-dispersion paint, glass, decorative plaster and wood, passed waterproof coating processing. You may notice that there is now a largethe variety of finishing materials for the walls in the bathroom. Each of them is characterized by its performance. It should be noted that typically the desire to achieve maximum savings turns into additional expenses, as poor-quality coating needs to be replaced soon. 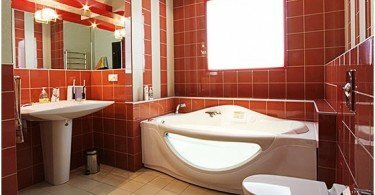 Therefore, when choosing the material for the bathroom, try to weigh the "pros" and "cons."